Hi! My name is Virginia Rose. I am a paraplegic and have used a manual wheelchair for 45 years. I have been an avid birdwatcher for about 15 years now. I joined Travis Audubon, (TAS), and co-led the beginning bird walks once a month for 7 years. I am now on the board of directors for TAS. 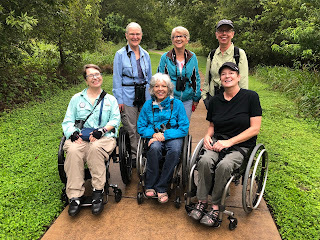 I have identified many wheelchair accessible parks in central Austin over the years and am interested in helping mobility-challenged folks get outside and experience nature. 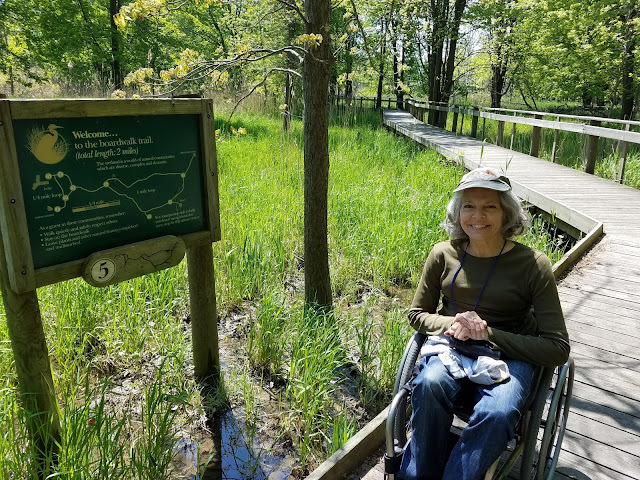 So many people with disabilities do not realize how much they can do outside! 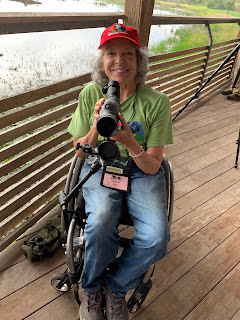 I started Birdability because I want to share the joy of birding with others. The hobby has enriched my life in so many ways. I have taken countless birding classes and learned so much. I have met wonderful people along the way who have welcomed me into the organization with open arms. I have gone on 100+ field trips to see beautiful parks and beautiful birds. Along the way I have become more confident in being outside on my own or with others. It has been a joy!